Protesters in Thailand demanding the resignation of current prime minister Yingluck Shinawatra are planning to re-nationalize Thailand’s vast wealth in natural gas, privatized and sold off under Yingluck’s brother, Thaksin Shinawatra in late 2001. 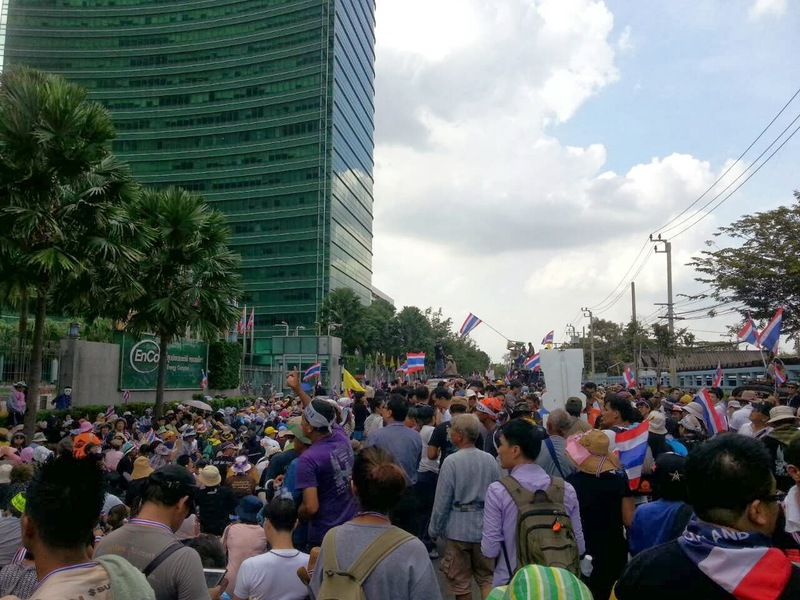 As protests swell to historic sizes in the streets of Thailand’s capital of Bangkok, and in provinces around the country, pressure is building on toppling the government of Thaksin Shinawatra. 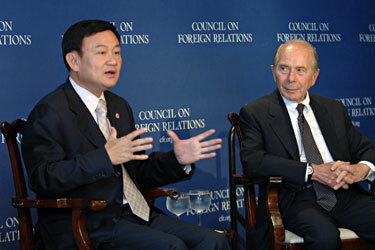 While technically speaking, his sister, Yingluck Shinawatra, is prime minister, she literally ran with the campaign slogan, “Thaksin Thinks, Peua Thai does,” (Peua Thai being Thaksin’s political party). Image: 1000’s of protesters descend on Thai oil giant PTT’s headquarters in Bangkok this week – demanding it be re-nationalized after its privatization under Thaksin Shinawatra, part of a larger plan to sellout Thailand’s infrastructure and natural resources to foreign corporations – the same corporations backing Thaksin’s sister, Yingluck Shinawatra as she prepares for her brother’s return to power.